CD’s and DVD’s are essential use for media and software indsutry, but after buying CD or DVD 50% to 60% of CD’s or DVD’s gets scratched. Some of the CD’s and DVD’s will not open for viewing in PC. In this situation you can use Bad CD/DVD reader software tool to recover the data. Bad CD/DVD reader can copy data from scratched CD’s and DVD’s with advanced features. 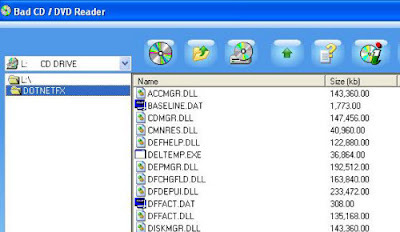 Bad CD/DVD reader can copy a folder in single click.